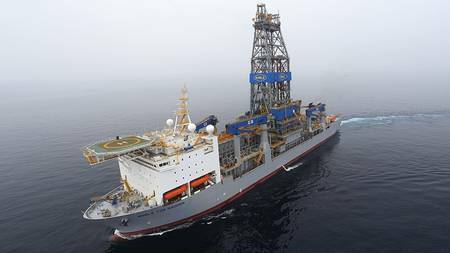 ExxonMobil and its partners have made two additional discoveries offshore Guyana at the Tilapia-1 and Haimara-1 wells, bringing the total number of discoveries on the Stabroek Block to 12, the U.S. supermajor announced Wednesday. The discoveries build on the previously announced estimated recoverable resource of more than 5 billion oil-equivalent barrels on the Stabroek block. The Noble Tom Madden drillship began drilling the well on January 7 and will next drill the Yellowtail-1 well, approximately 10 kilometers west of Tilapia-1 in the Turbot area. Baseline 4-D seismic data acquisition is underway.